Any good links for Burnley-Palace? Just thought I’d pop the team on here and quite frankly miffed that Hennessy is starting over Guita wtf!!? Guita was terrible against manure. 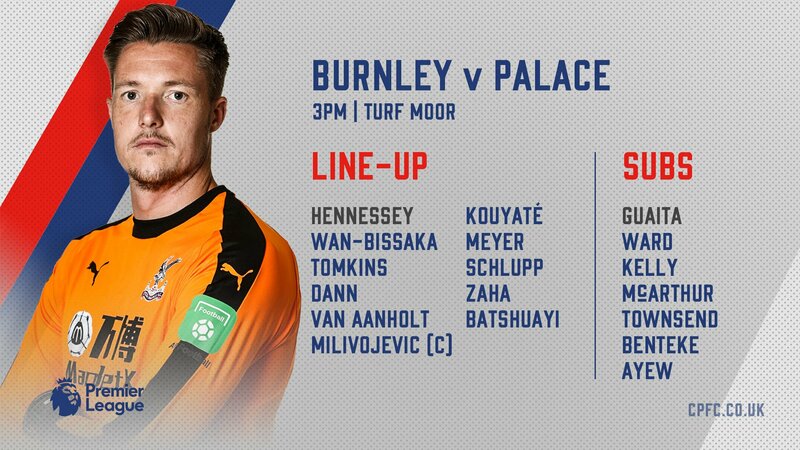 Nice to see Meyer start and Bissaka back tho. No Guaita or Townsend, both on the Bench? What is this team. I can only think Hennessy is in due to the number of aerial balls that Burnley put in the box. Assuming that Townsend, Kelly and McArthur just need a rest.